This Zenna Home Fabric Shower Liner/Curtain features a luxury spa waffle pattern that adds a touch of elegance to your bath area while keeping water from getting outside of the shower. Made of 100% polyester, the liner/curtain is attractive and durable. It has metal grommets to avoid ripping when attached to any standard shower rings or hooks, and it features a weighted magnetic hem to hold it in place against the bath or shower. This heavy-duty PVC/Vinyl Shower Liner will fit into any bathroom decor with its clear colouring. The liner helps to keep your shower area clean with its mildew-resistant design. 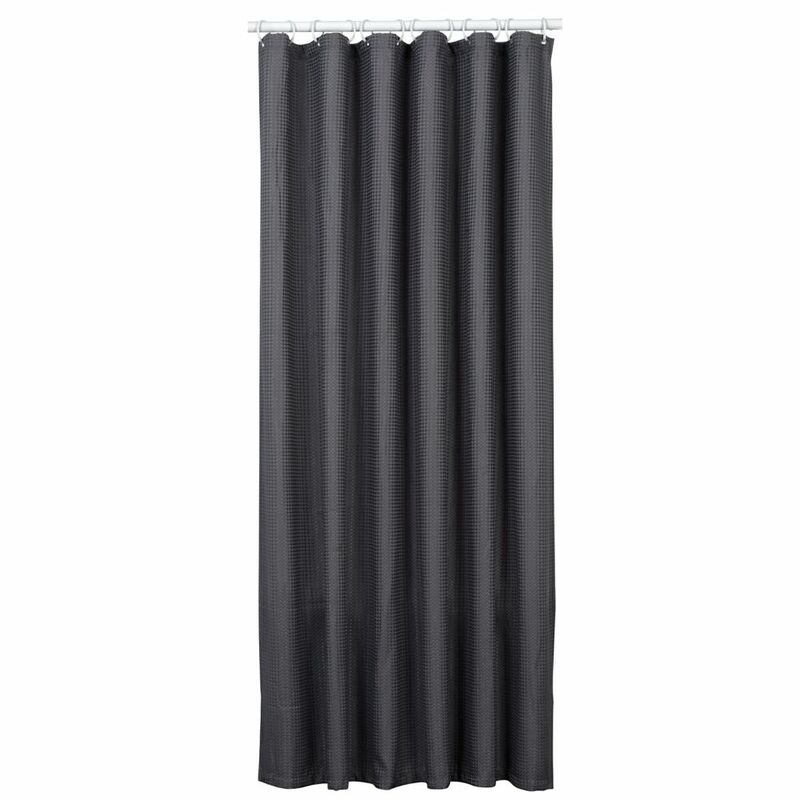 70 Inch W x 72 Inch H Fabric Shower Liner/Curtain in Steel Grey This Zenna Home Fabric Shower Liner/Curtain features a luxury spa waffle pattern that adds a touch of elegance to your bath area while keeping water from getting outside of the shower. Made of 100% polyester, the liner/curtain is attractive and durable. It has metal grommets to avoid ripping when attached to any standard shower rings or hooks, and it features a weighted magnetic hem to hold it in place against the bath or shower.